What is a Link Chain? Charm bracelets are commonly made from link chains. A link chain is an object, often just referred to as a chain, which consists of a series of rings interconnected to create a long line. The individual rings, called links, are typically rounded and oblong rather than circular, with each link connected to the one before it and connected to the next link at the other end. This sort of chain can be made from a wide variety of materials and since each link can have another link attached to it to grow the length of the chain, the length is potentially infinite. The materials used to make the links that form the chain tend to determine how the chain will be used. A link chain can be made from delicate metals such as silver, gold, or platinum to create a chain that is pleasing to look upon. Such chains are often used as jewelry and can be worn as necklaces, bracelets, or suspended from body piercings. A chain worn as a necklace will often have a pendant, locket, or some other form of ornamentation on it as well that serves as a focal point for the piece. 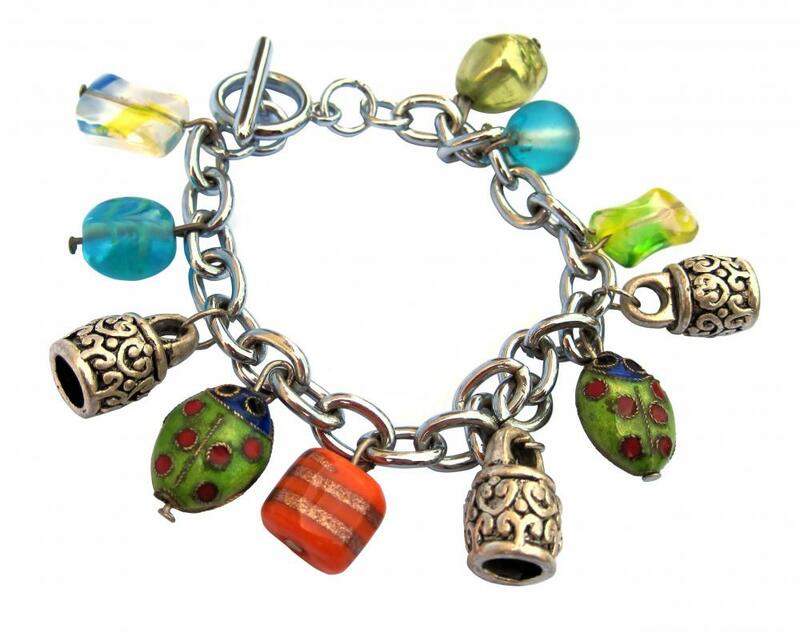 Charm bracelets are also typically made from a link chain that has other loops connected to individual links along the chain to allow charms to dangle from them. Such bracelets are often popular because they allow many different items to be worn upon a single piece of jewelry. The nature of the link chain means that new charms can also be easily added to update the piece. Heavy metals such as iron or steel can be used to make chains intended for industrial or commercial use. These chains can be used to hold fences together, connect cars together for towing, or fasten an anchor onto a boat or ship. Anyone wanting a link chain for outdoor use may also want to consider a material that is not likely to rust or corrode when exposed to elements such as rainfall for extended periods of time. More unusual materials can also be used to create chains that serve other purposes. Links of paper can be made and connected to form chains that are often used to decorate rooms for parties or on Christmas trees. People have sometimes also utilized the concept of a link chain to stand beside each other with their arms linked to form a human chain. Such formations are often popular by protesters or activists looking to form a line of people and draw attention to them. What is a Link Level? What is a Drag Link?